Faculty and staff are invited to attend the 5th annual December Toast: A Celebration of Our Mid-Year Graduates, which will be held Friday, Dec. 16, at 4:30 p.m. in the Community Music School Concert Hall. This event recognizes the achievements of graduates who completed their degrees in the months of August, October and December. 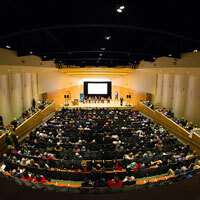 At the 4:30 p.m. program, President Elizabeth (Beth) J. Stroble, Provost Julian Schuster and the deans from each of the schools, as well as a representative from the Alumni Association, will offer congratulations and remarks to the graduates. The ceremony will be followed by a reception in the Edward Jones Commons, located on the second floor of the East Academic Building, with music, food and drink, photo opportunities and time to share good wishes with fellow graduates and their families and friends. 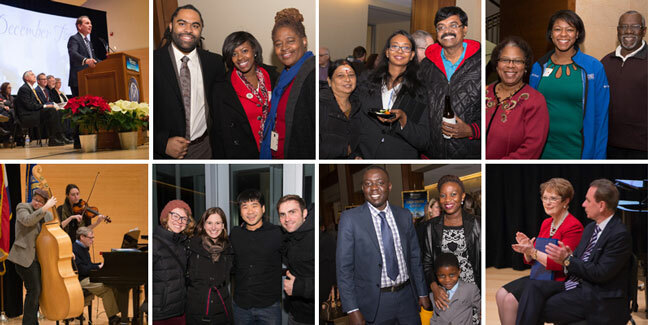 The December Toast event celebrates August, October and December graduates of Webster University.